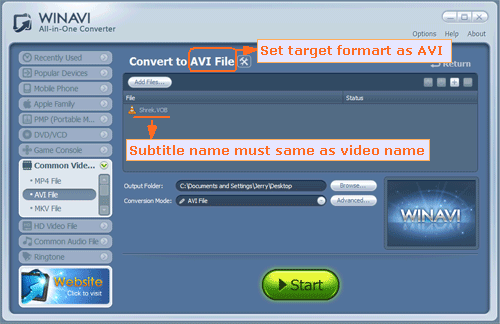 If you want to add subtitles to AVI video or convert any formats to AVI with adding your customized subtitles, this tutorial will show you the detailed steps to add subtitles to AVI video with WinAVI All In One Converter. 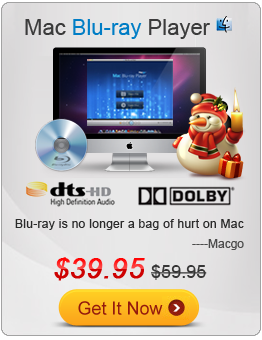 Step 1: Free download WinAVI All In One Converter. Prepare your edited subtitles or you can also directly download subtitles from Internet .The popular file extension of subtitle formats are .srt and .ssa. You can easily see the contents of the subtitle through any text editor such as notepad. Step 2: Please put your .srt or .ssa subtitle file into the same folder with movies you want to convert together. Setp 3: You must rename the .srt or .ssa file to match the original video name. Make sure the subtitle name set as"file name. language.srt/ssa". For example, If you want to add a subtittle into an English movie such as "Shrek", you should set your subtitle as "Shrek.en.srt" or "Shrek.en.ssa". In this process, please also distinguish the capital and small letter. Step 4: If WinAVI program is running, please shut down and restart it. Then load your video and set AVI as output format. 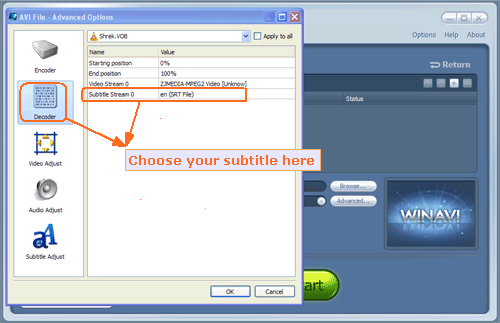 When video file has been loaded, click"Advanced" and enter the "Decoder" Menu, a "subtitle stream" option will be showed for you to select your edited subtitle. Step 5: You can also set other advanced options and then just click the green "start" to convert when you finished all the settings. After conversion is complete, you can click "open the output file" to find your converted AVI File that has been adding your wanted subtitles.